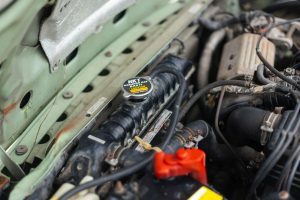 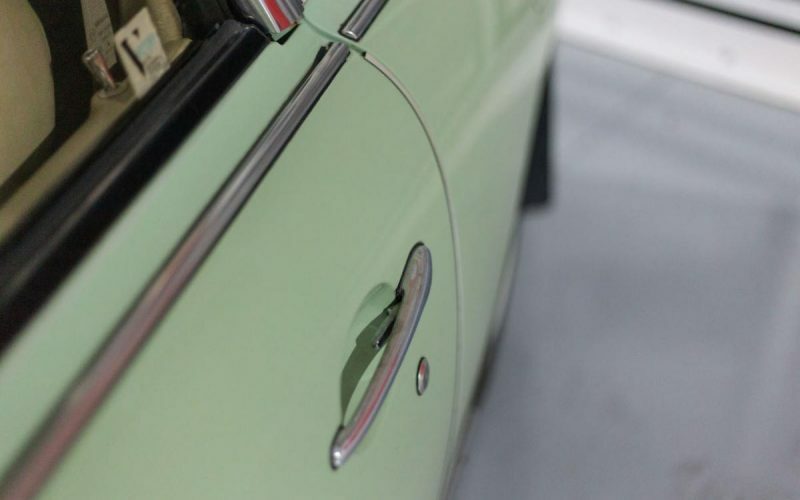 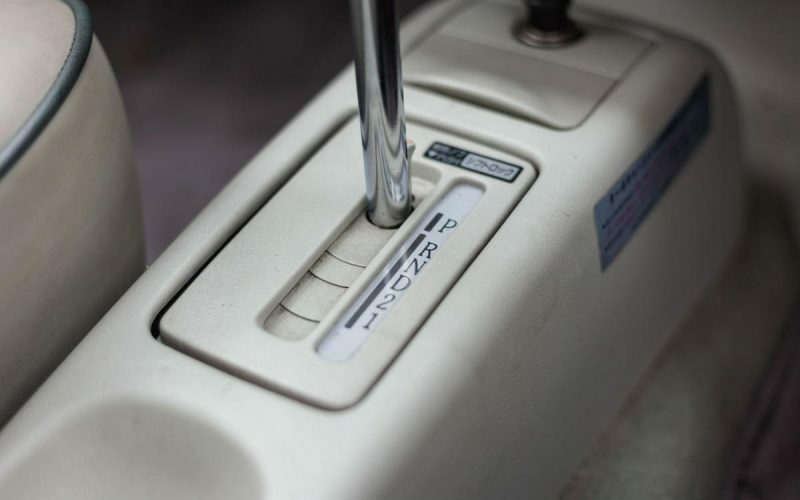 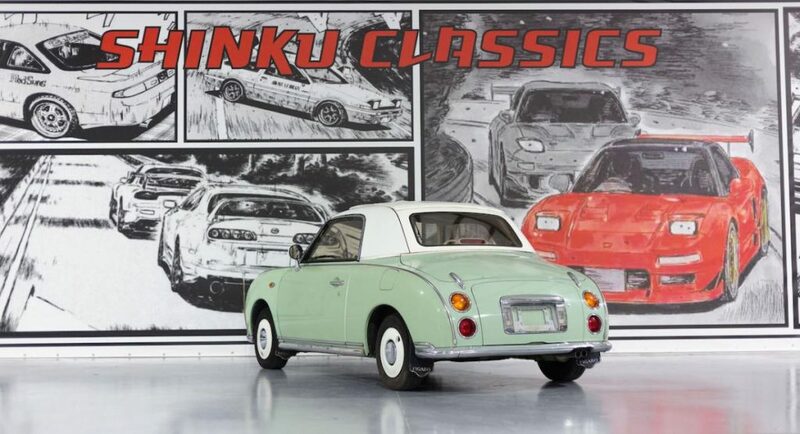 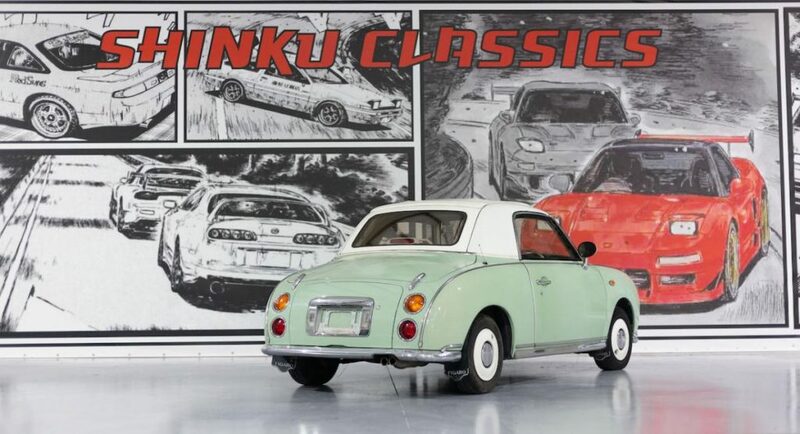 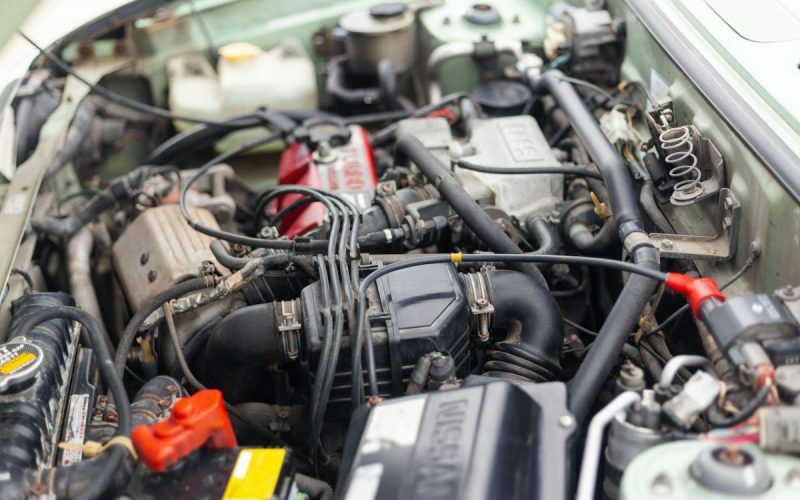 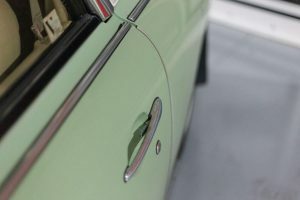 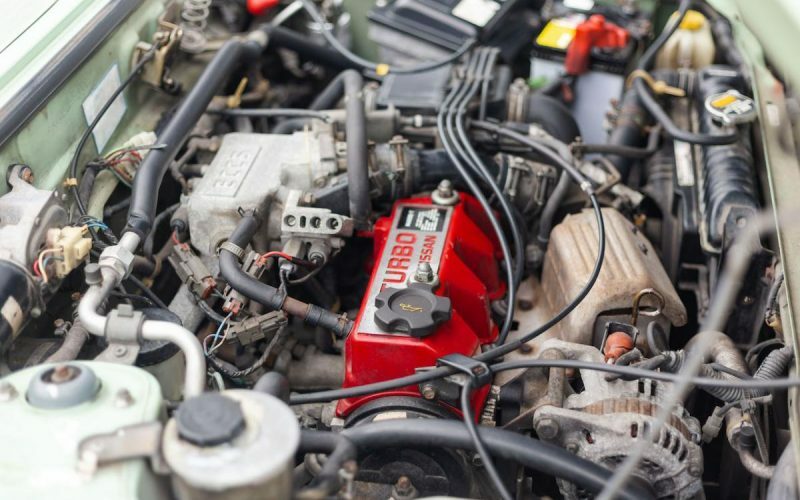 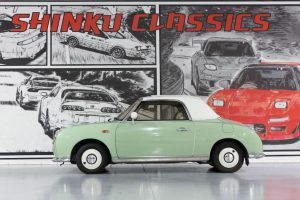 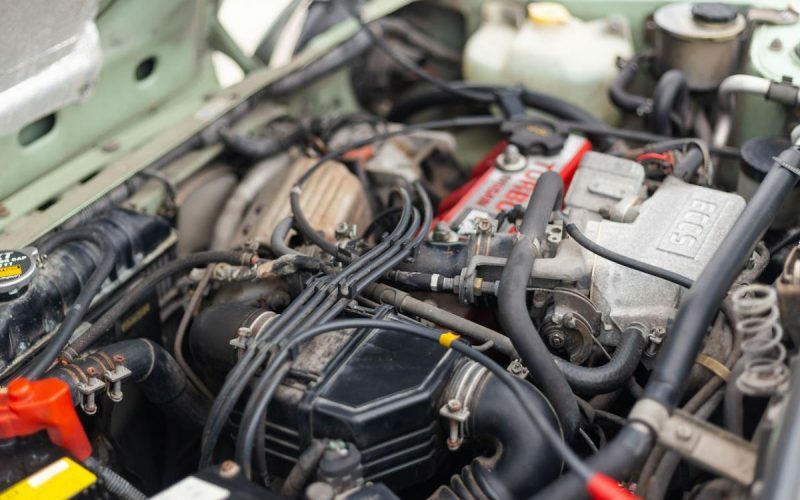 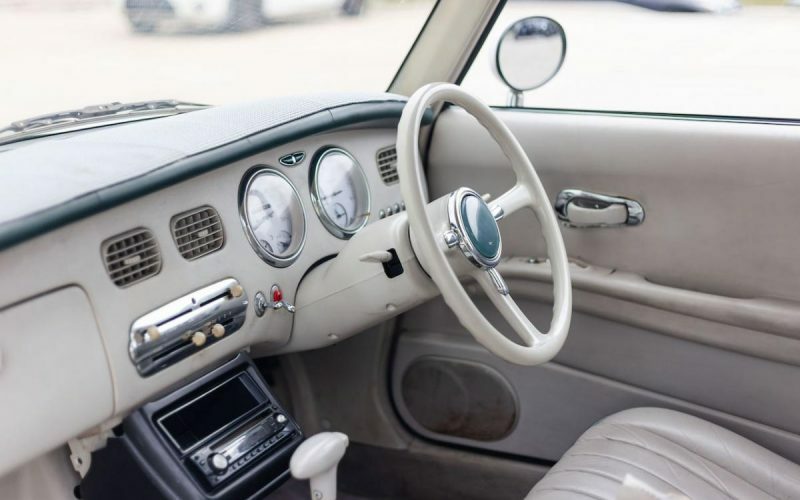 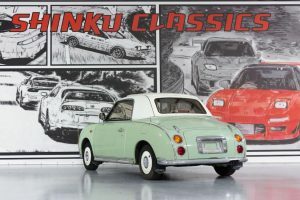 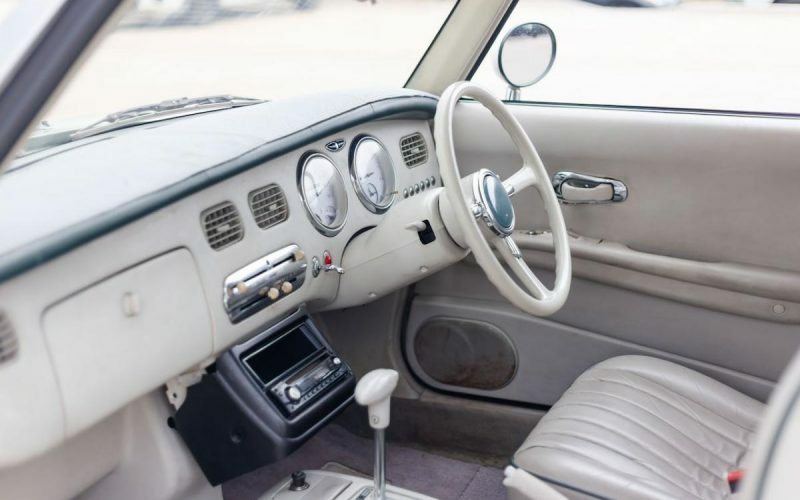 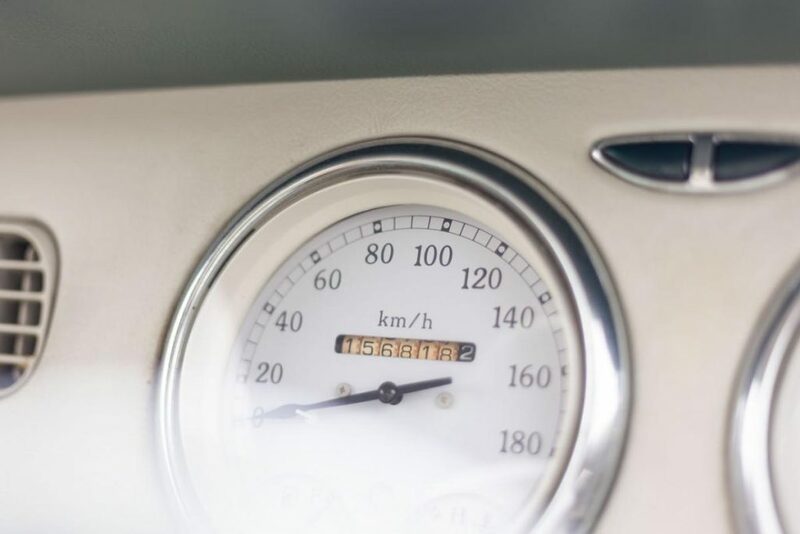 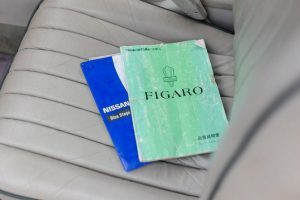 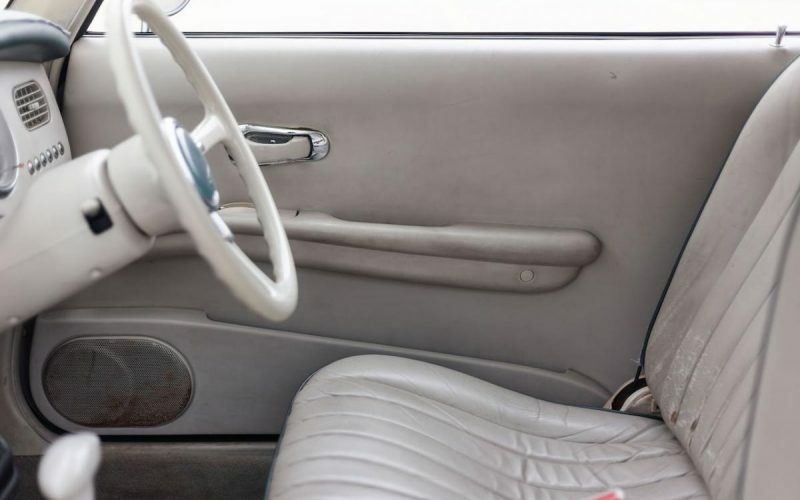 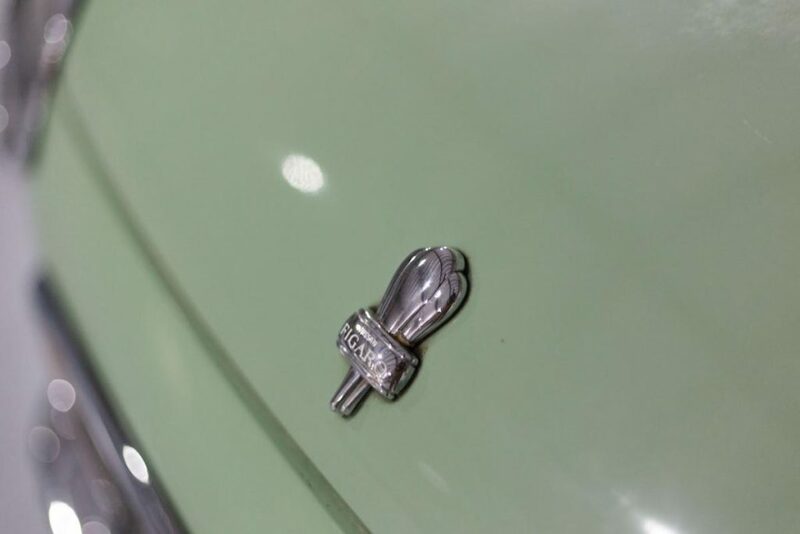 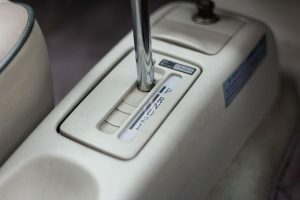 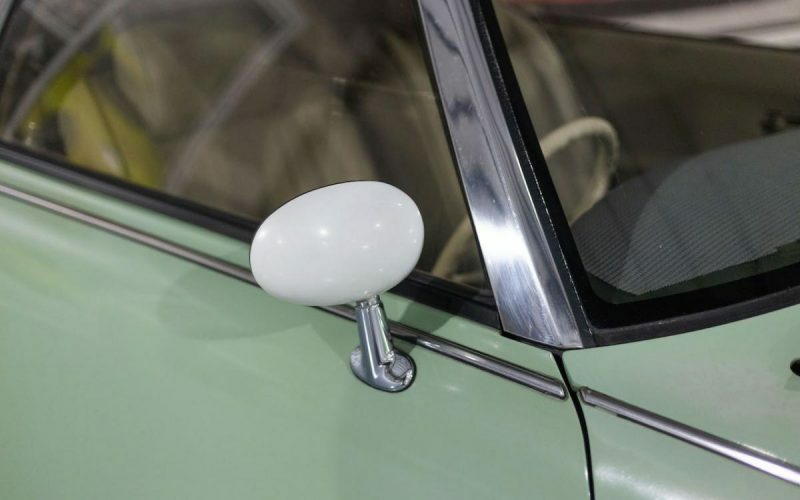 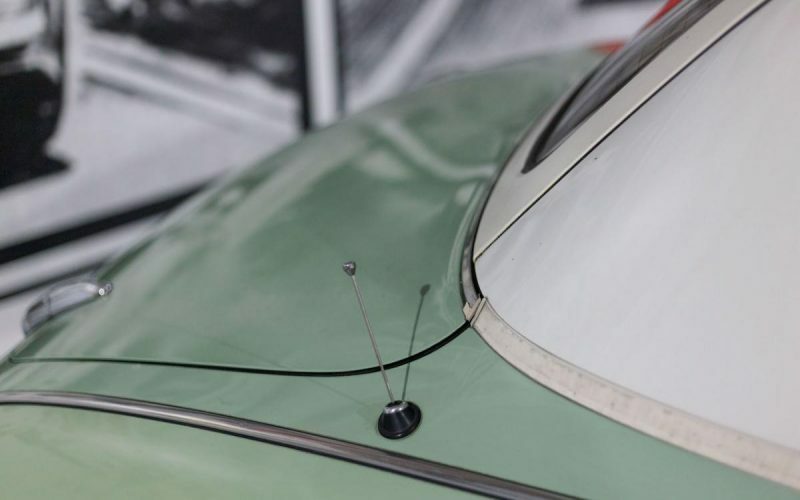 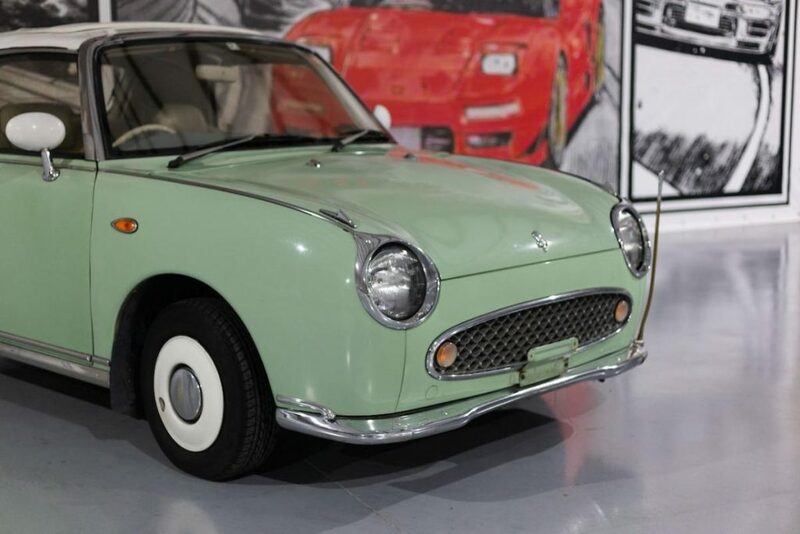 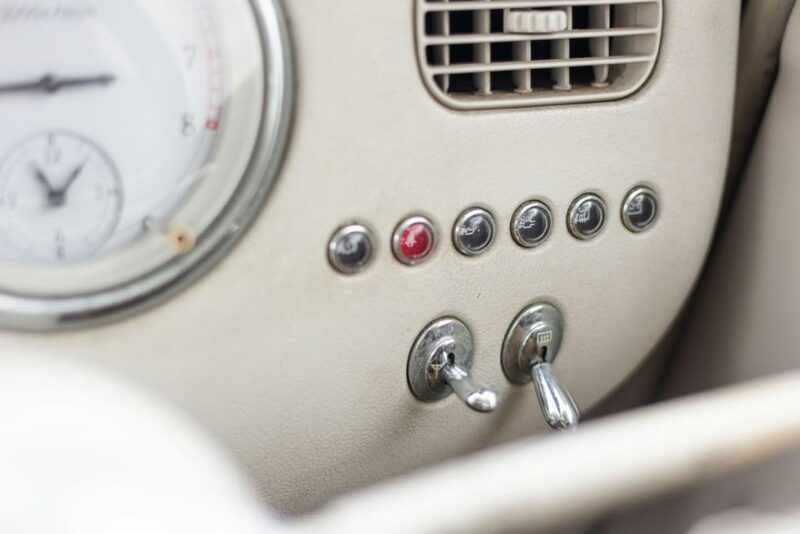 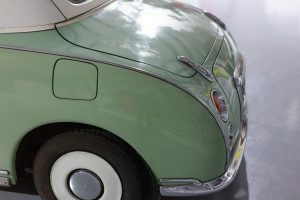 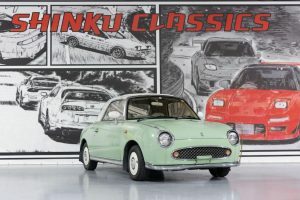 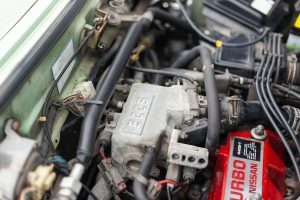 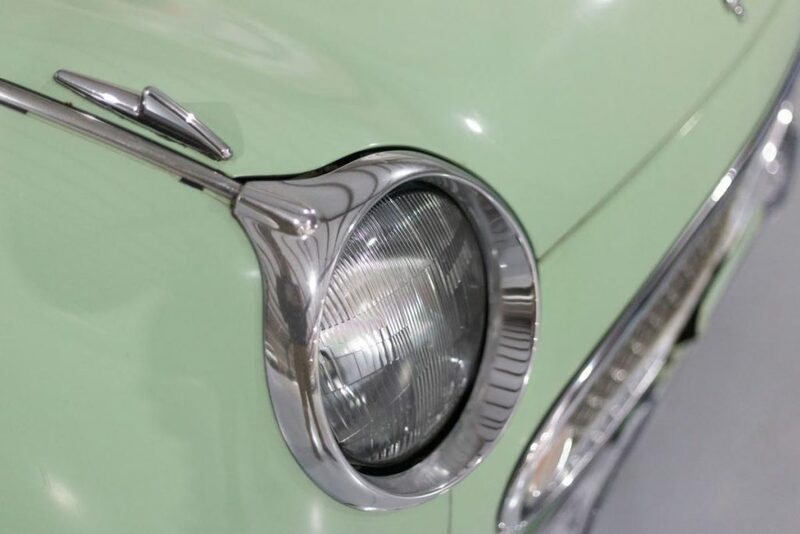 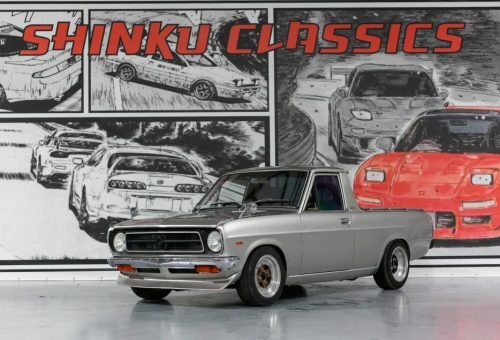 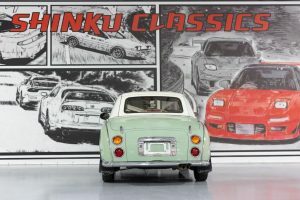 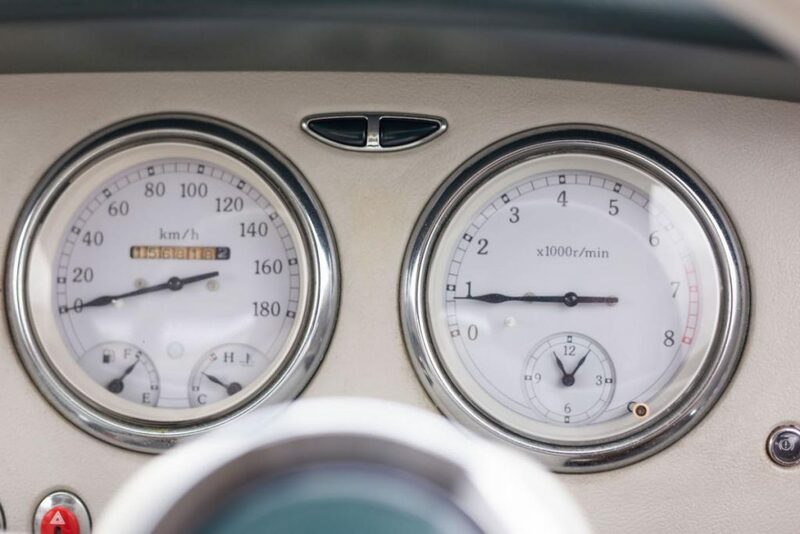 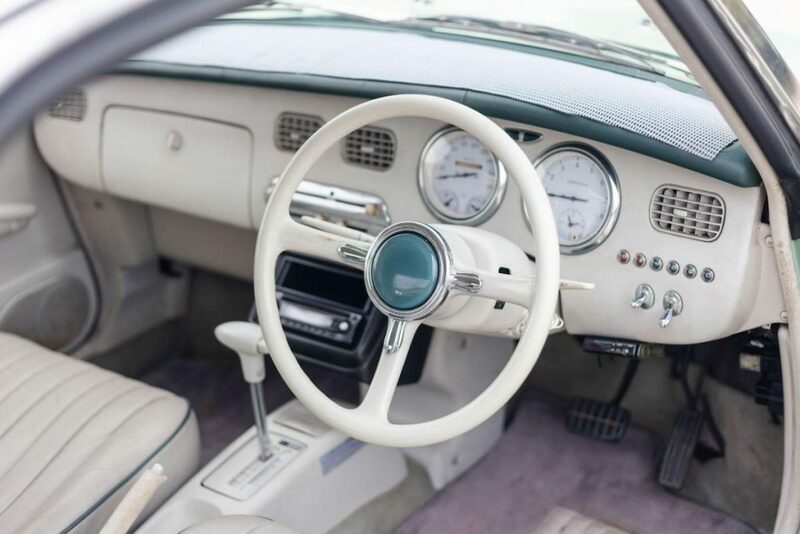 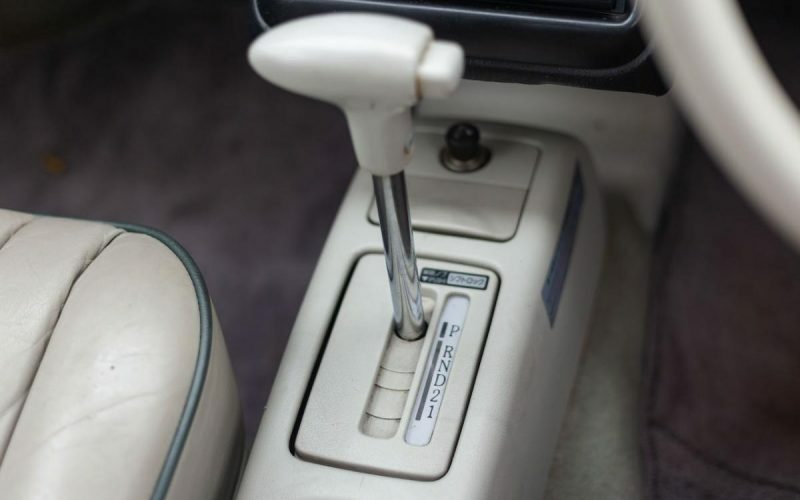 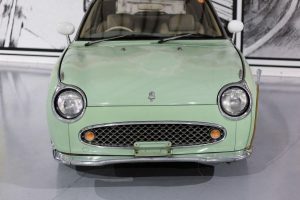 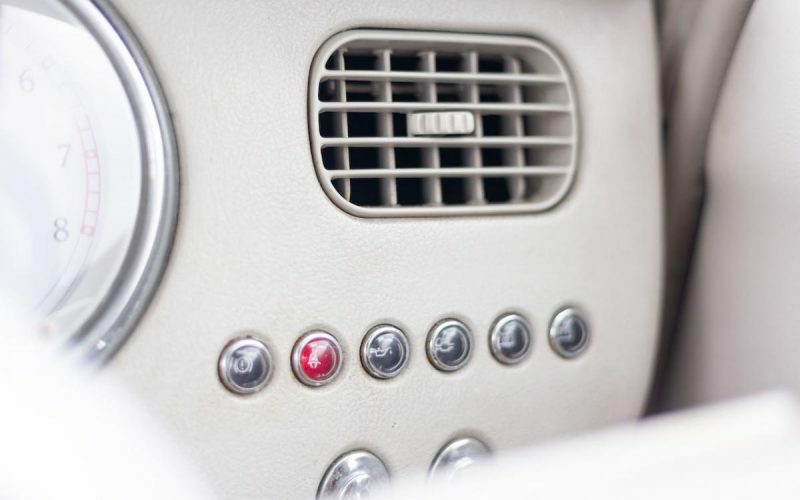 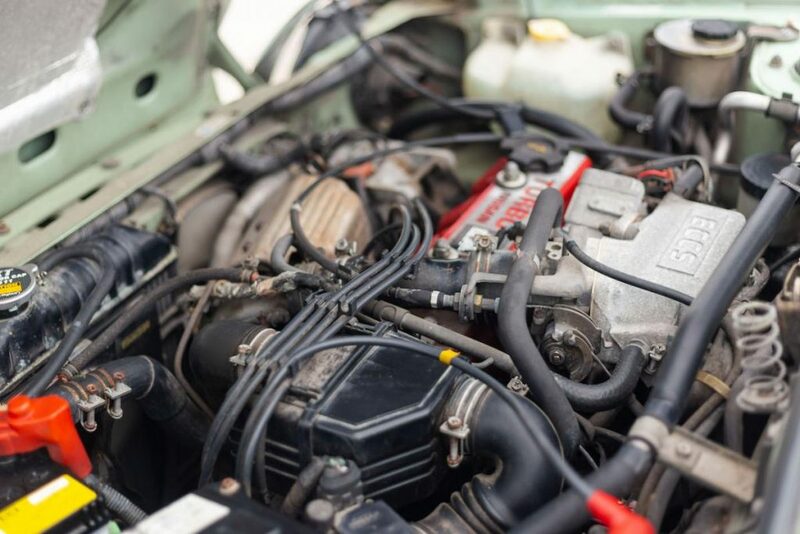 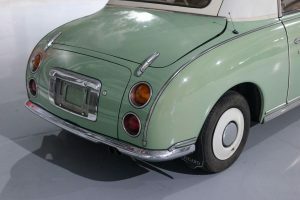 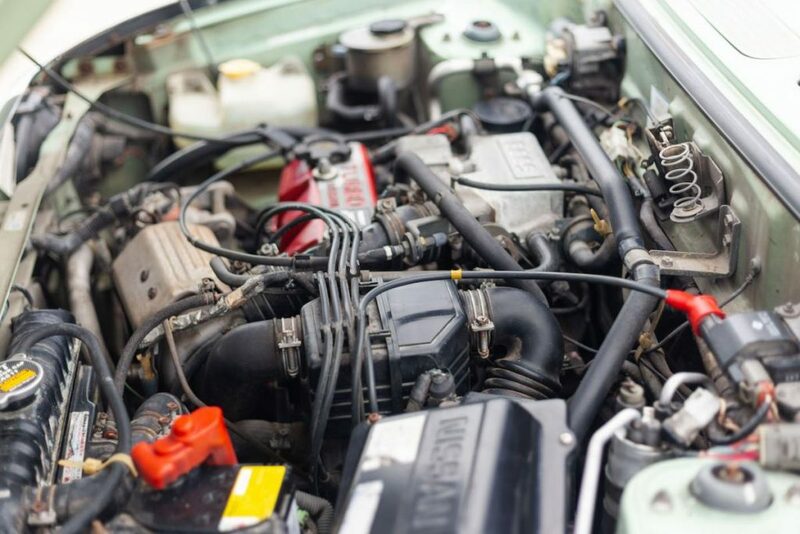 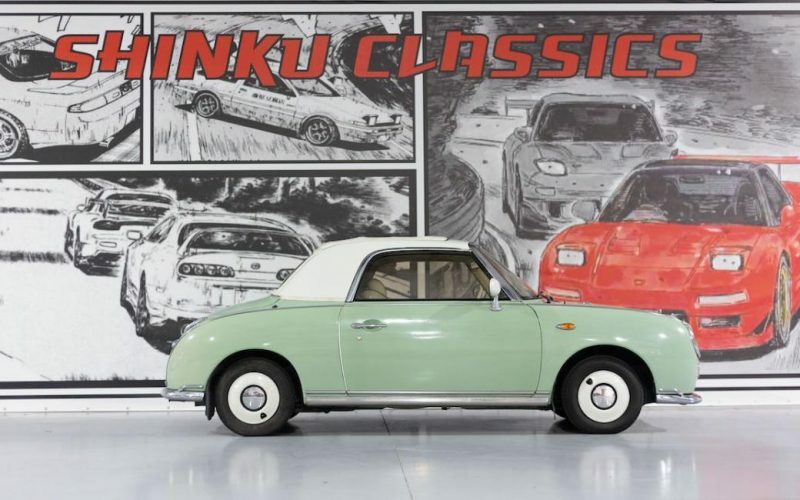 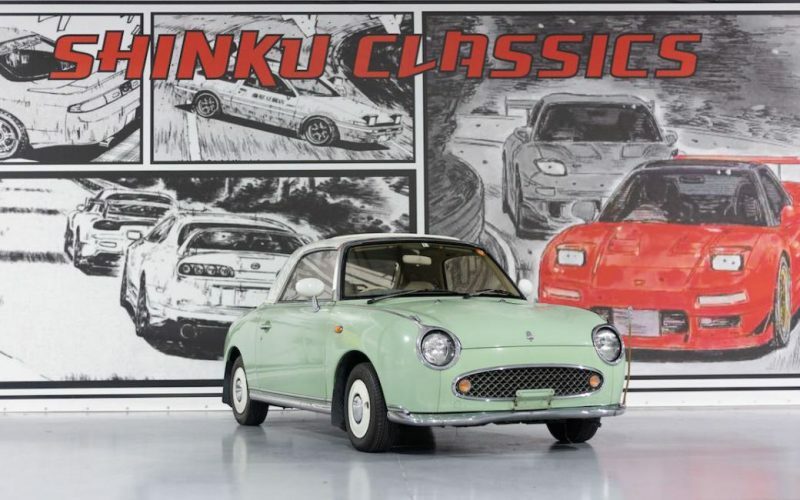 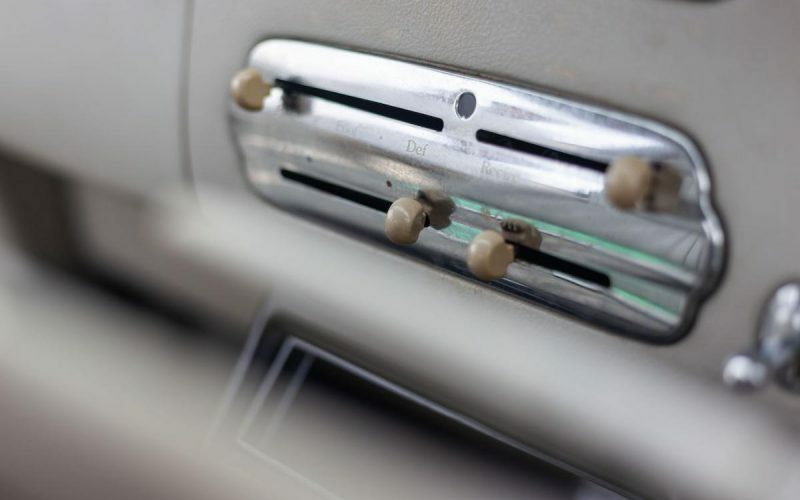 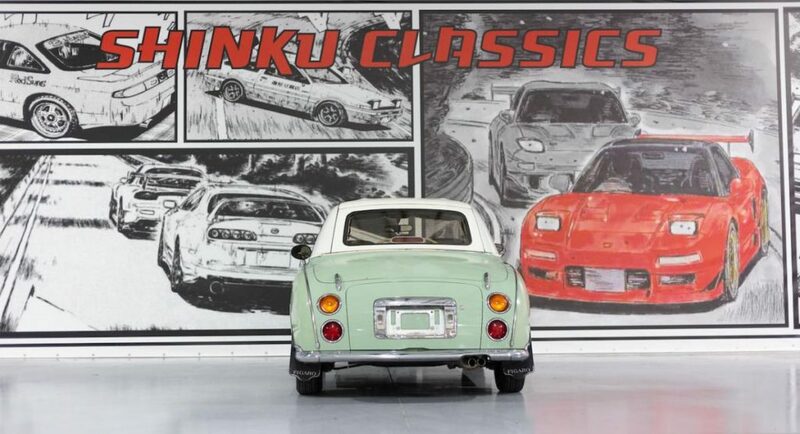 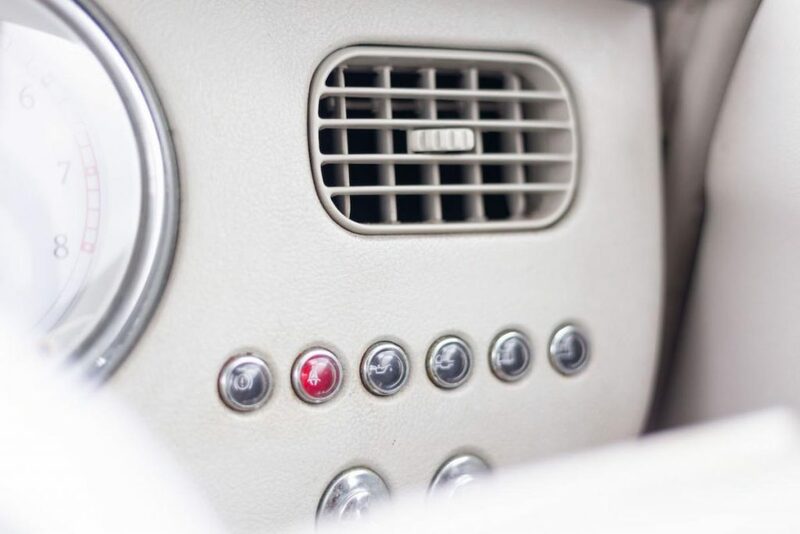 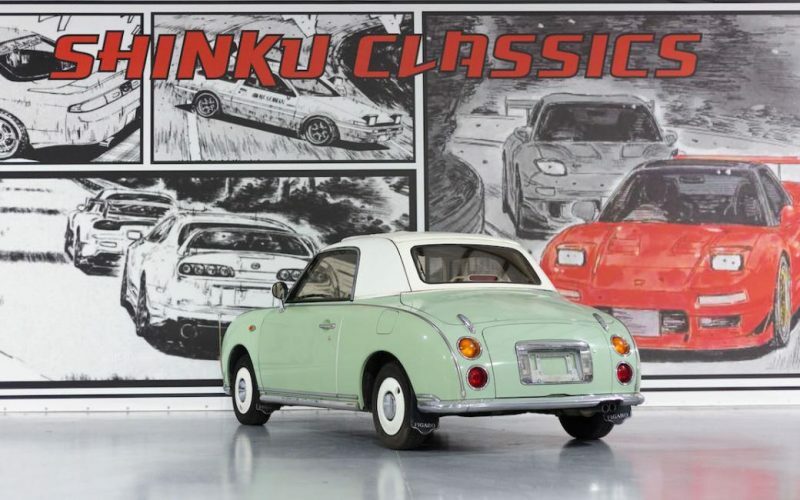 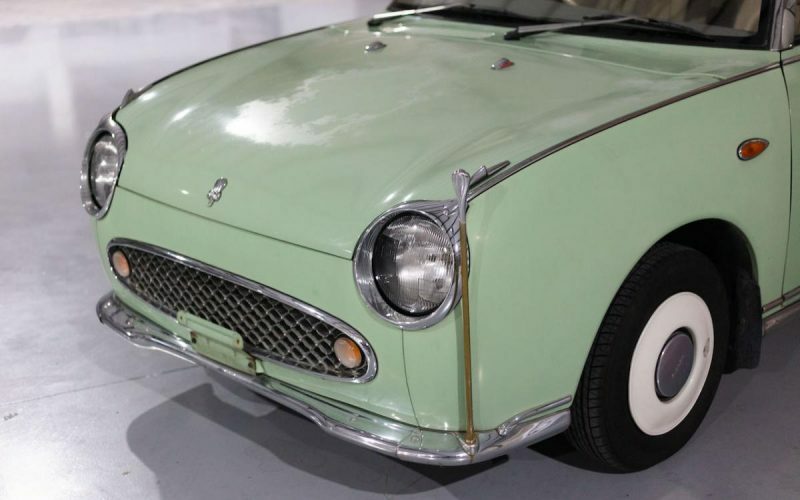 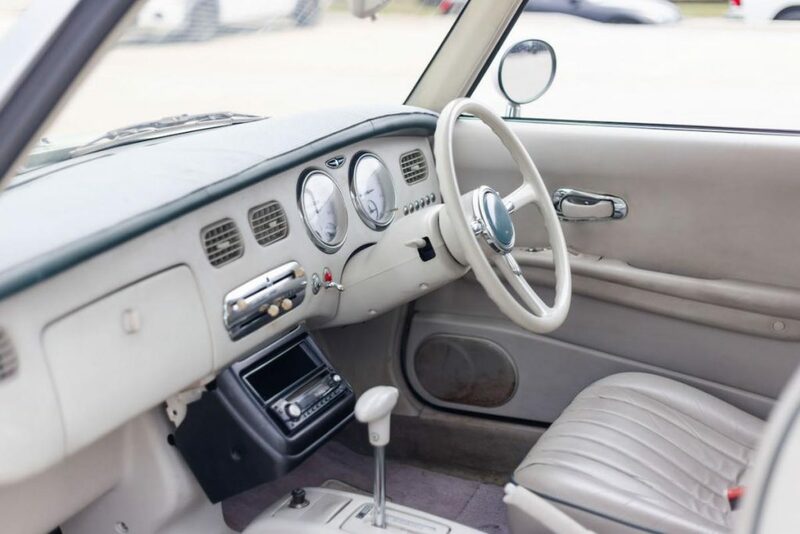 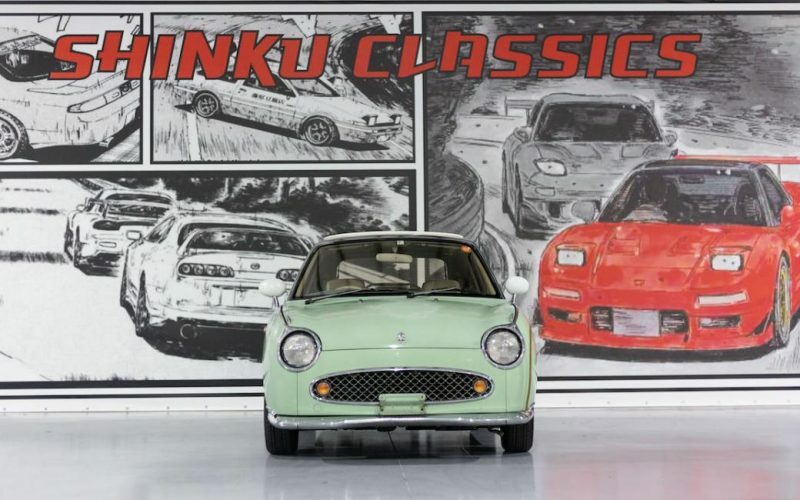 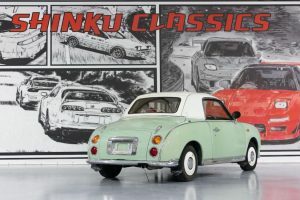 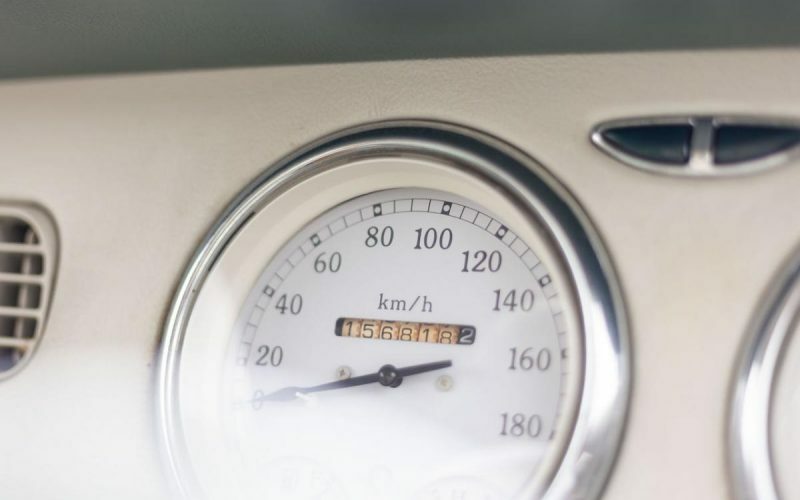 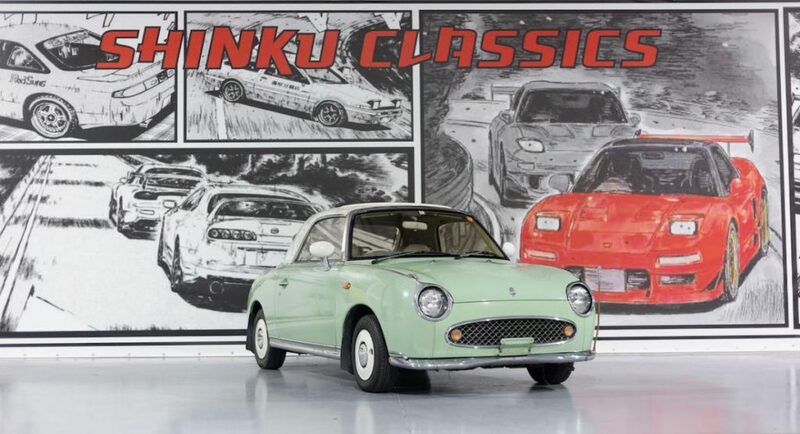 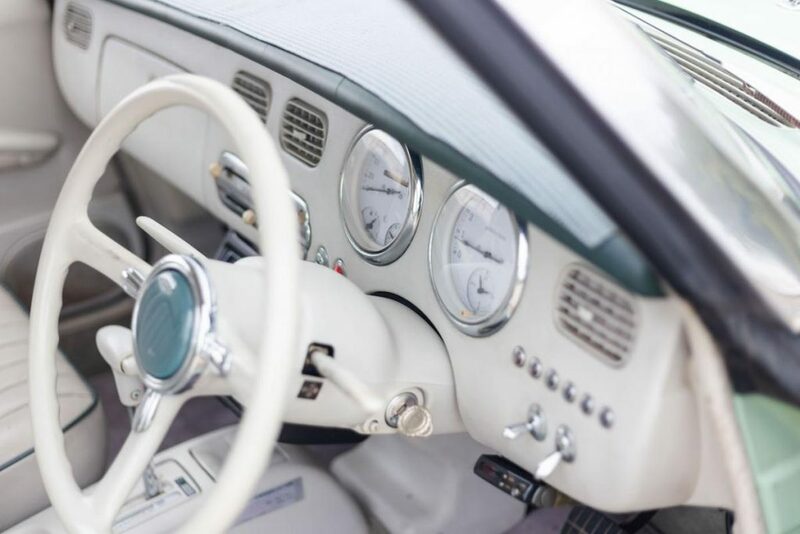 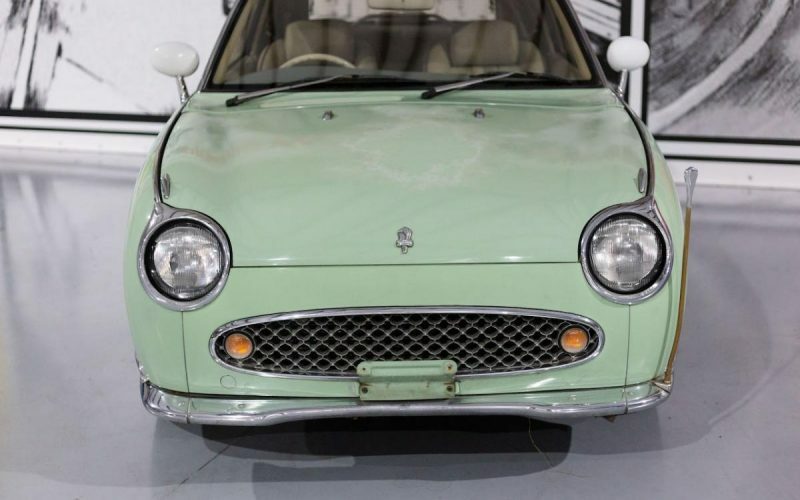 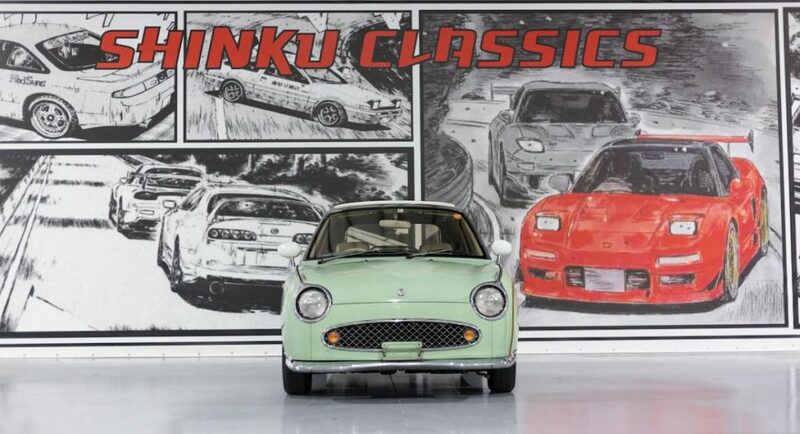 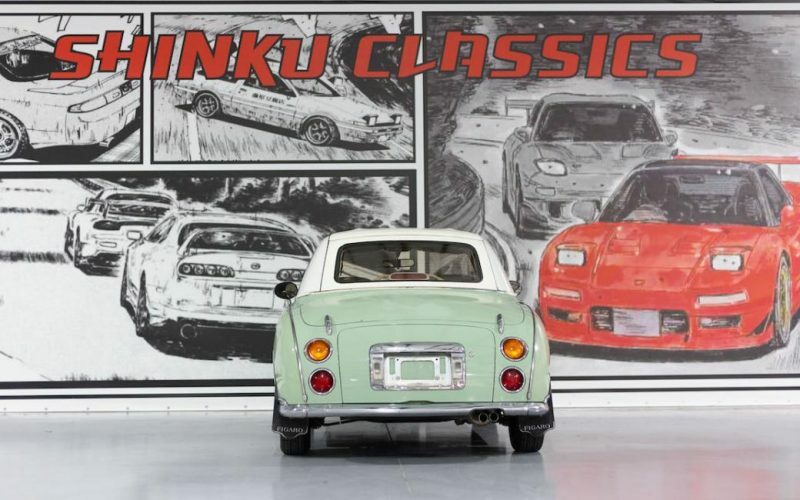 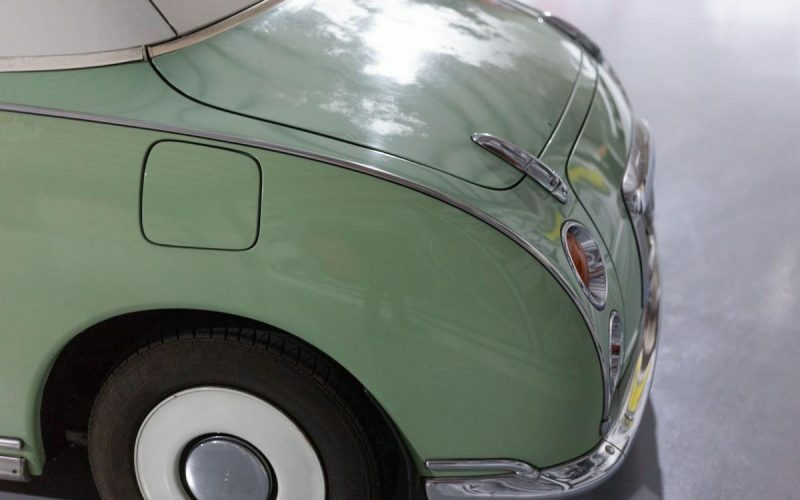 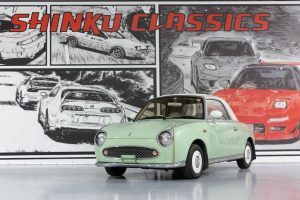 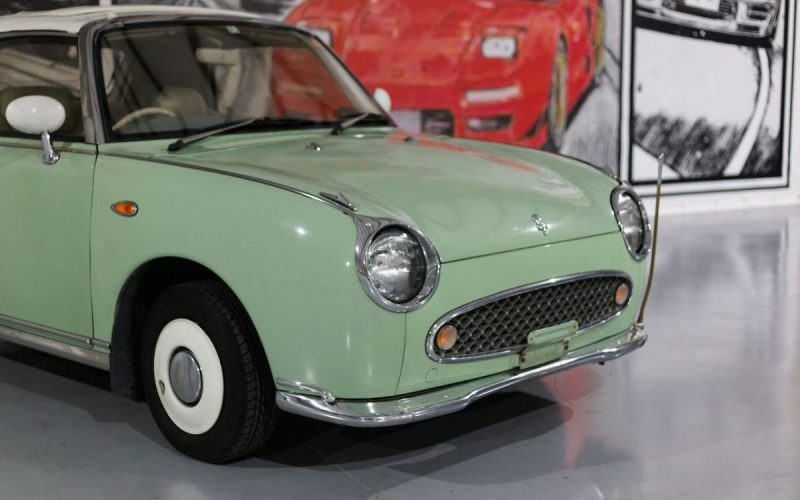 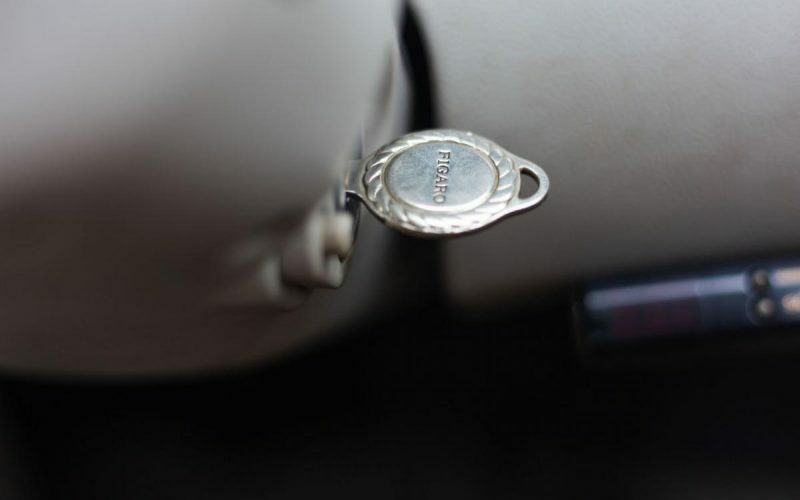 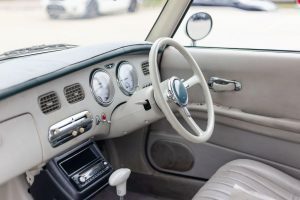 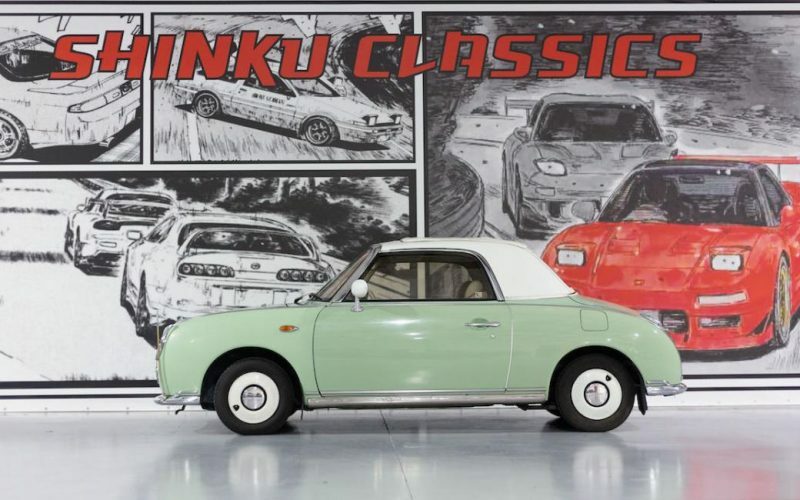 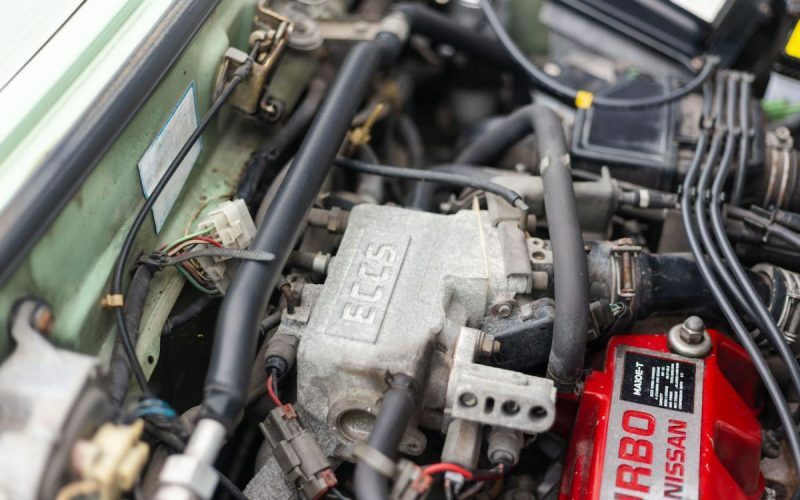 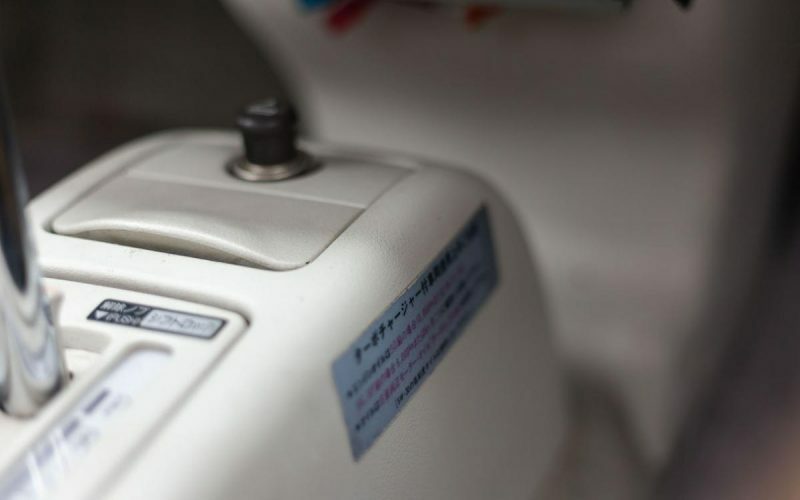 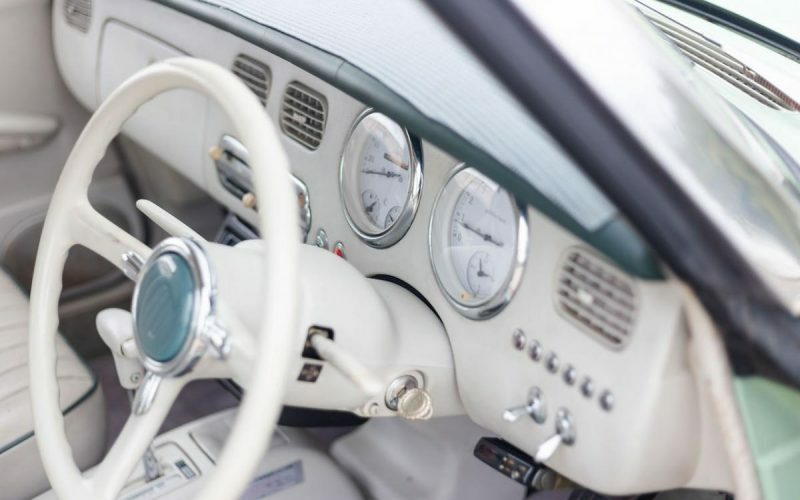 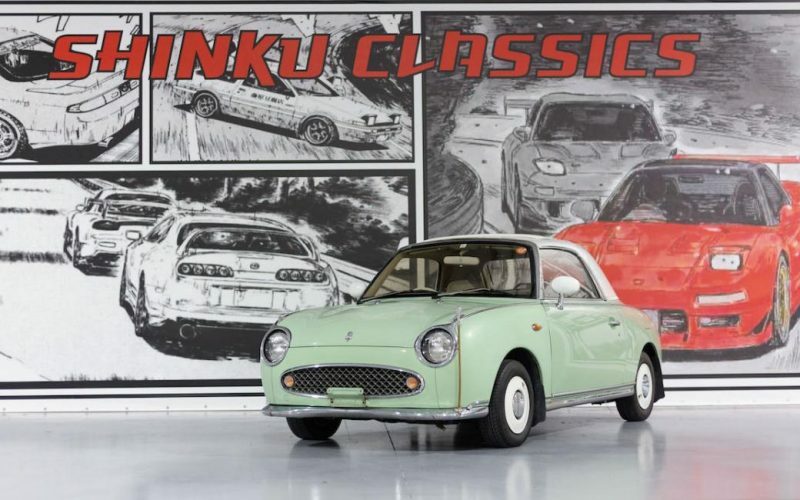 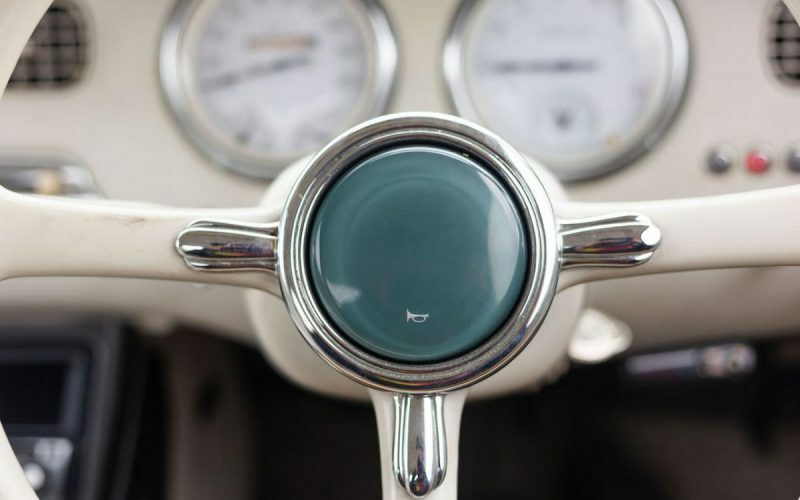 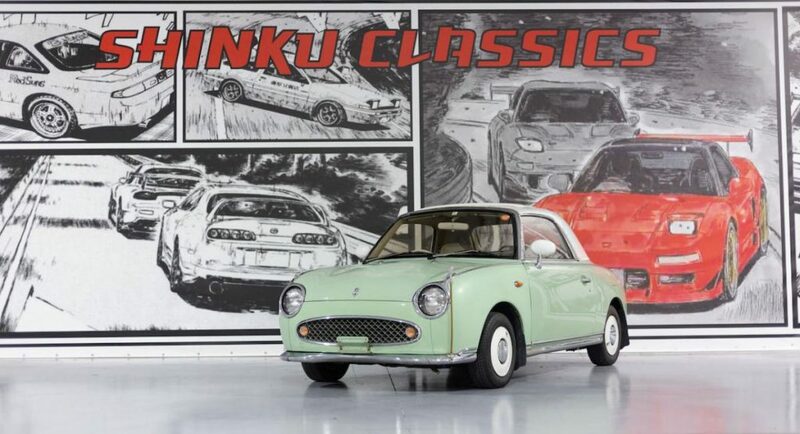 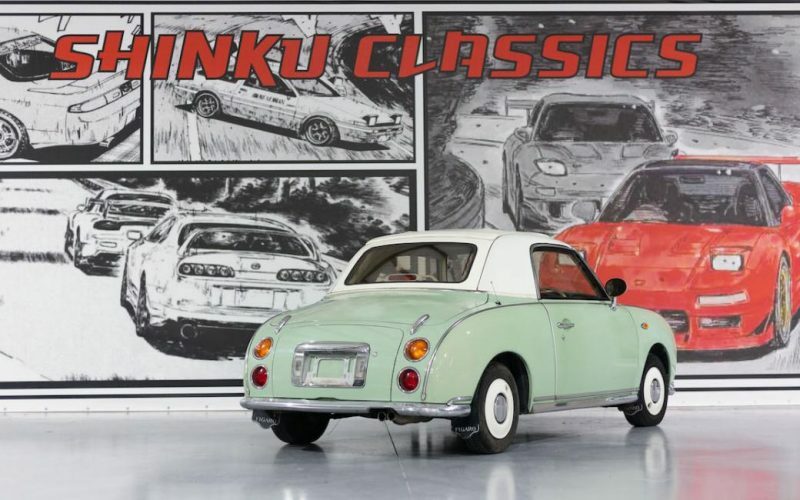 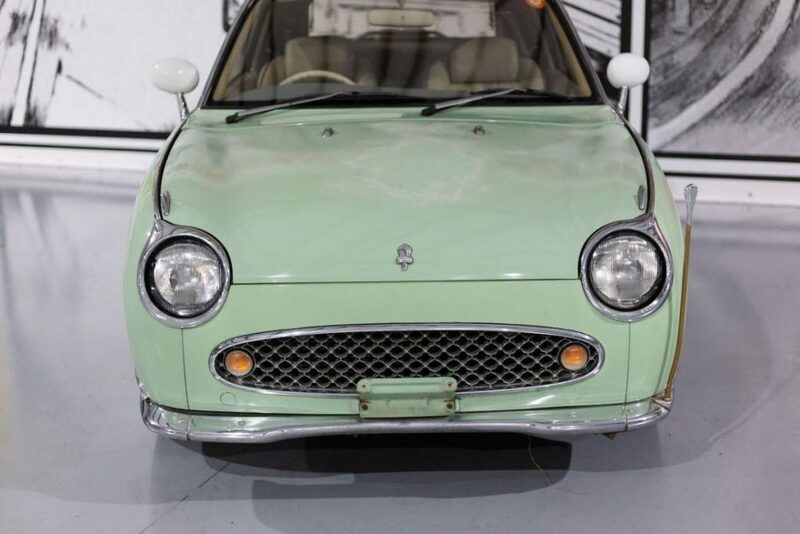 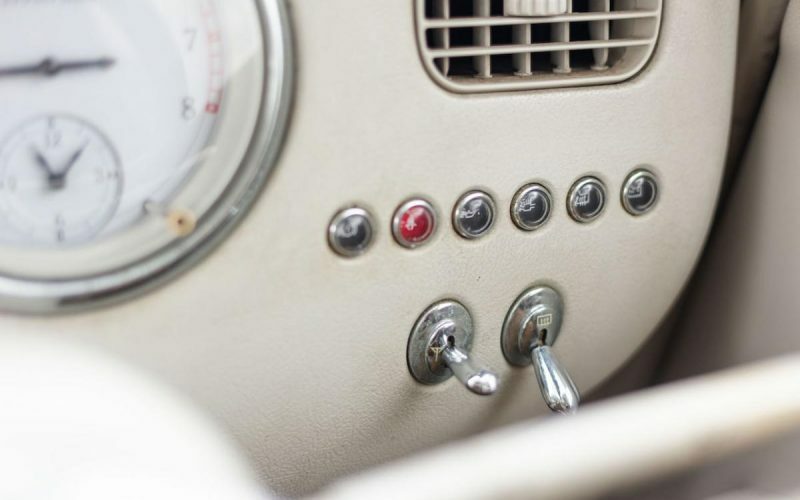 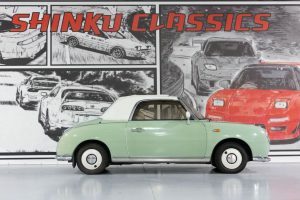 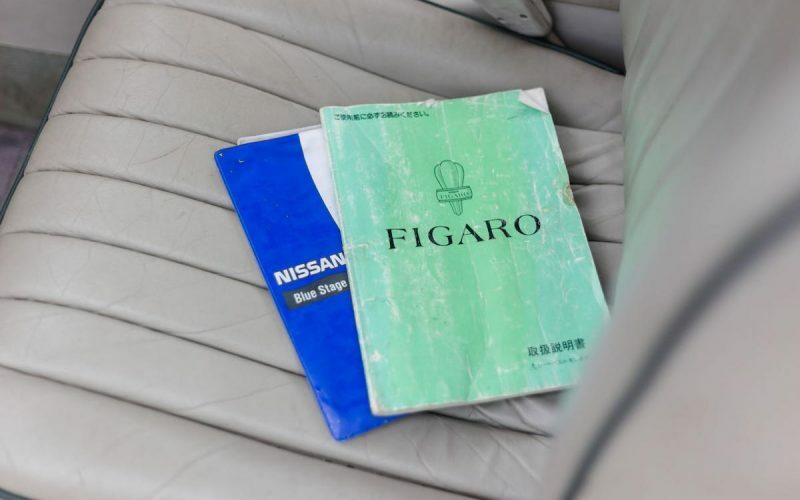 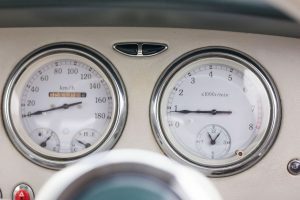 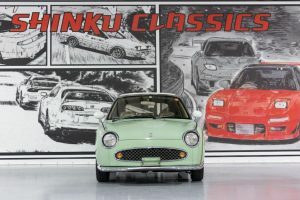 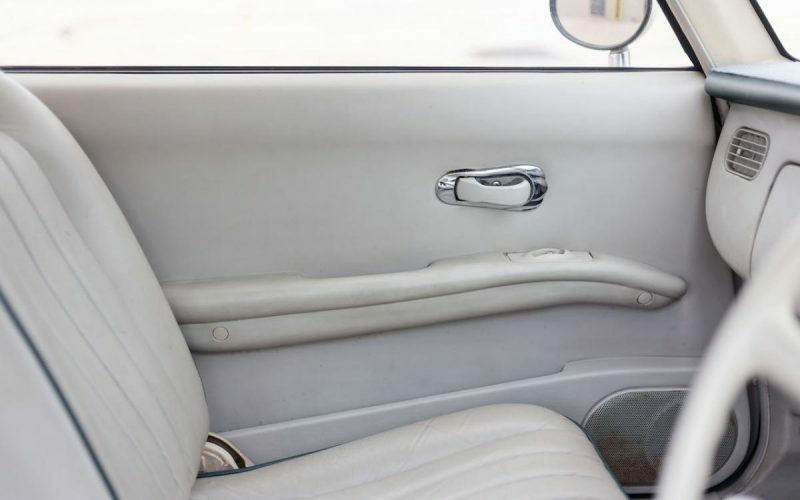 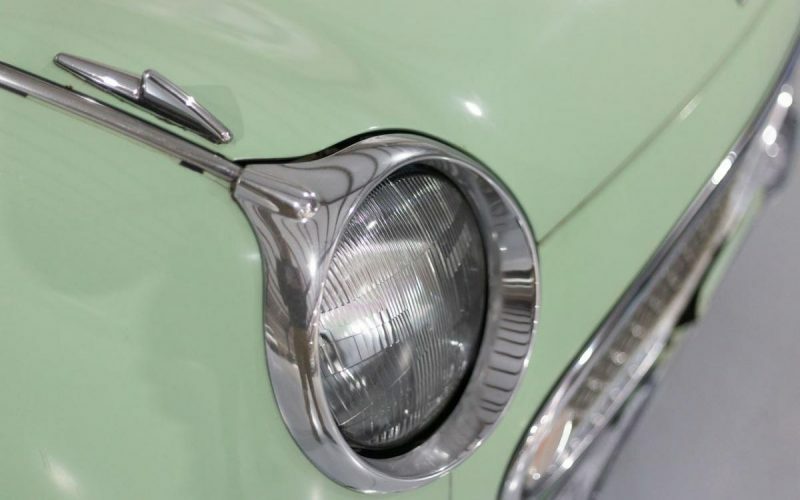 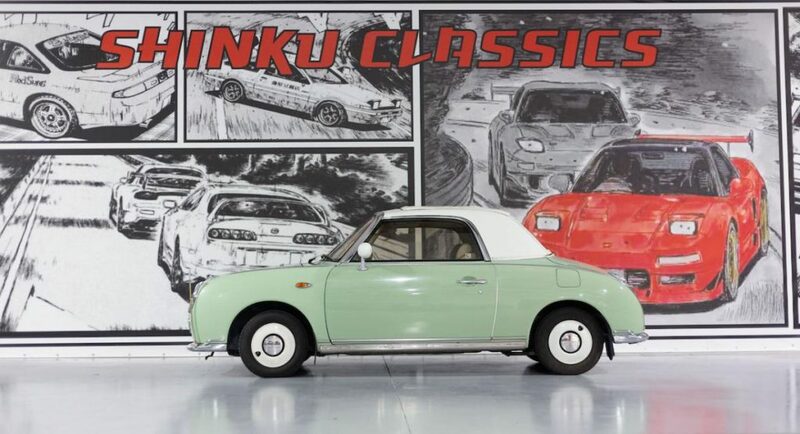 This 1991 Nissan Figaro has 156,000 original kilometers which is equivalent to about 97k miles. 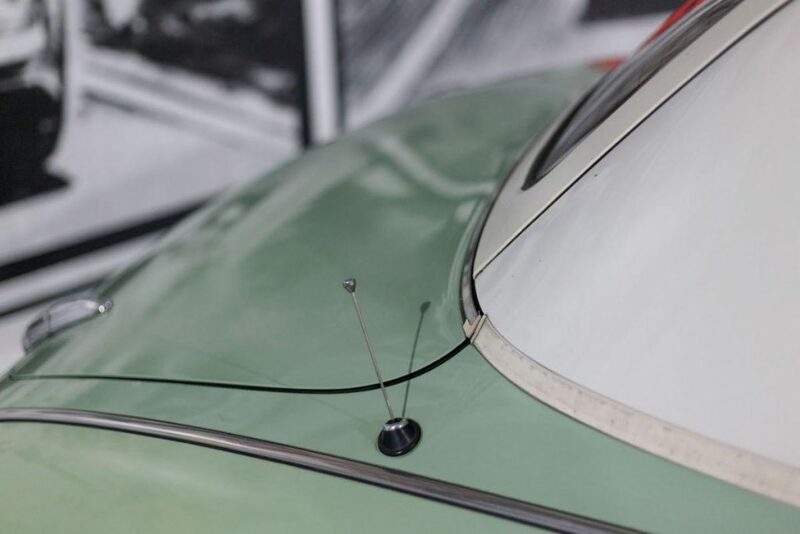 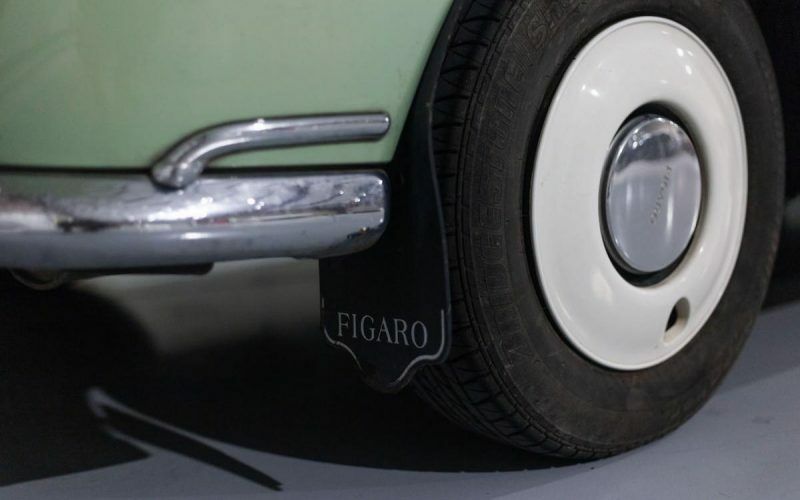 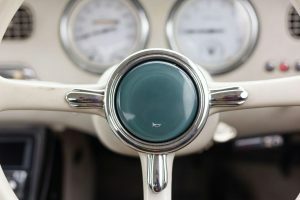 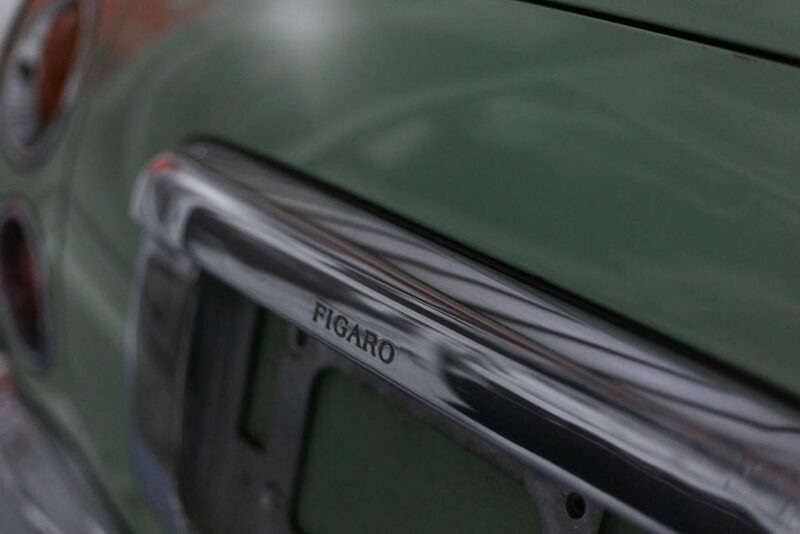 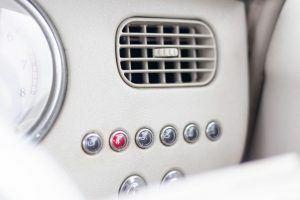 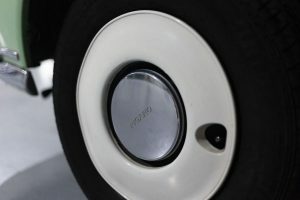 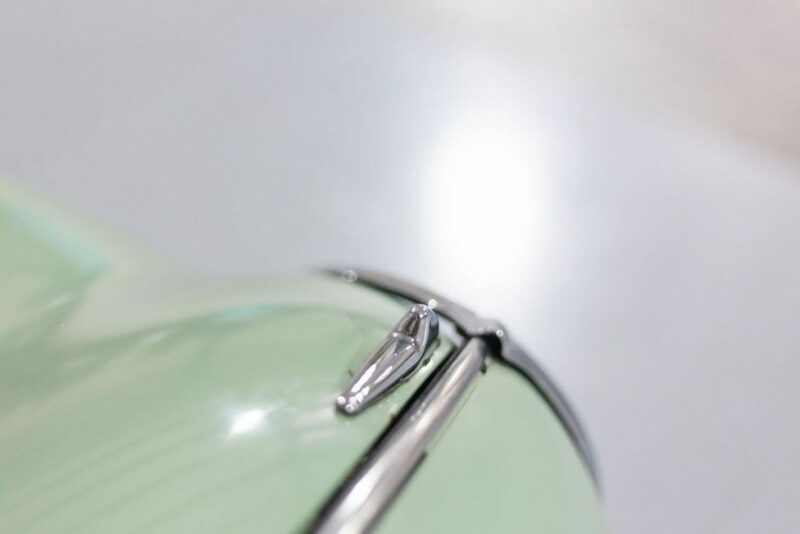 The Figaro is a 2+2 fixed profile convertible that’s fun and easy to drive around town with a retro style look and unique color that turn heads everywhere you go. 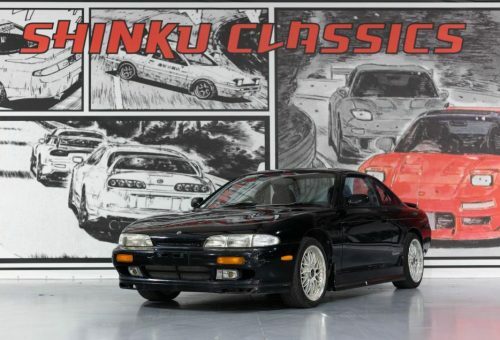 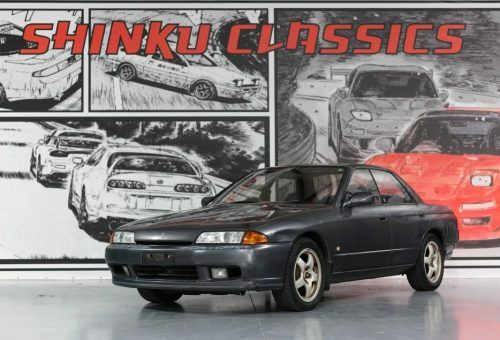 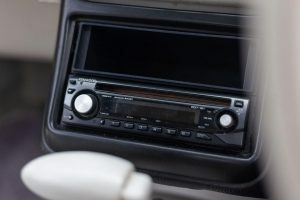 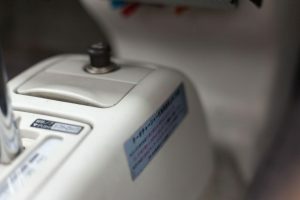 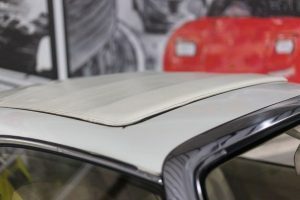 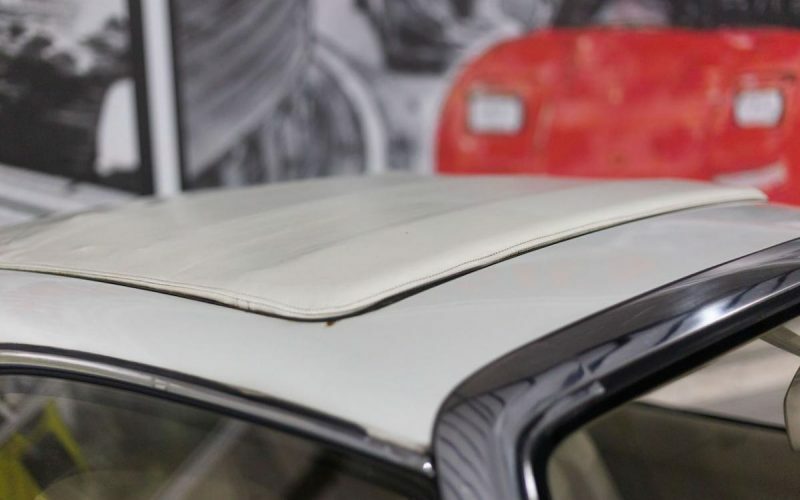 The exterior is in good condition with no major scratches, dents, or rust on the body although, some clear coat is fading on the hood and trunk. 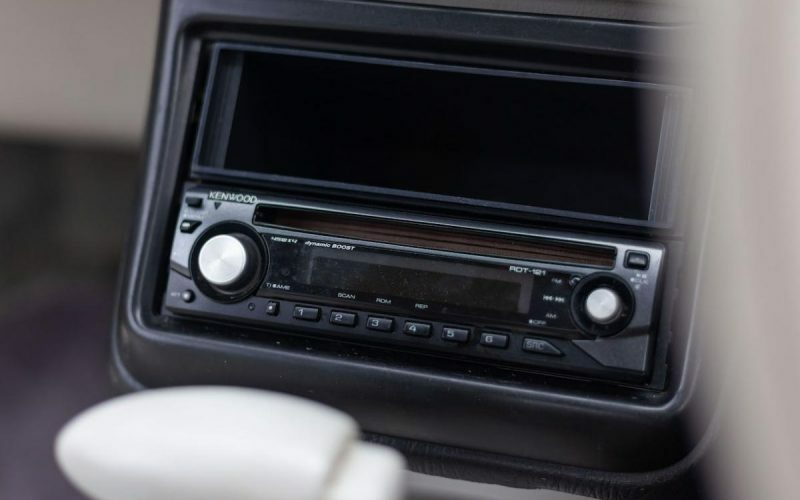 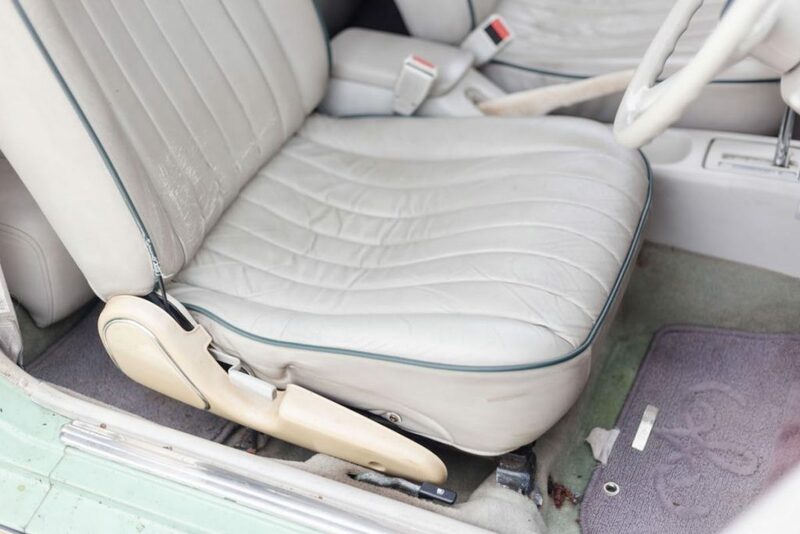 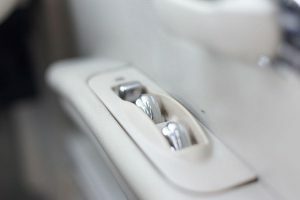 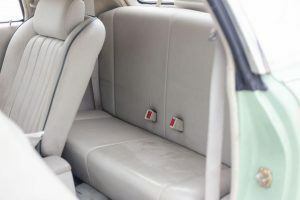 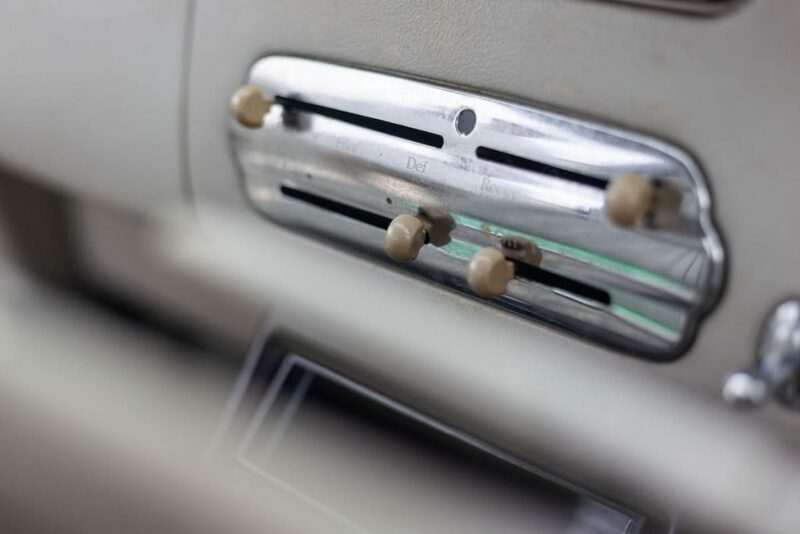 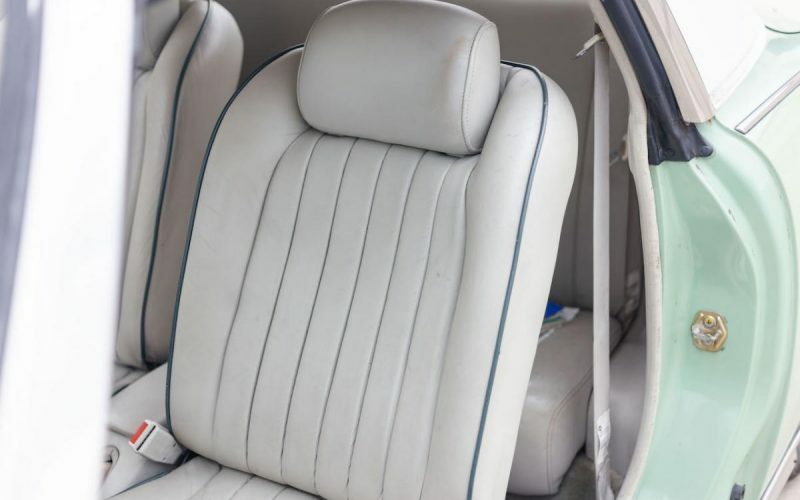 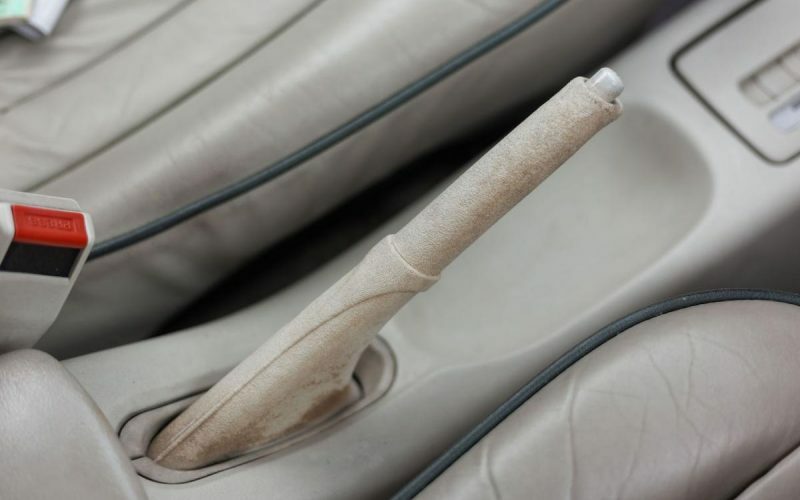 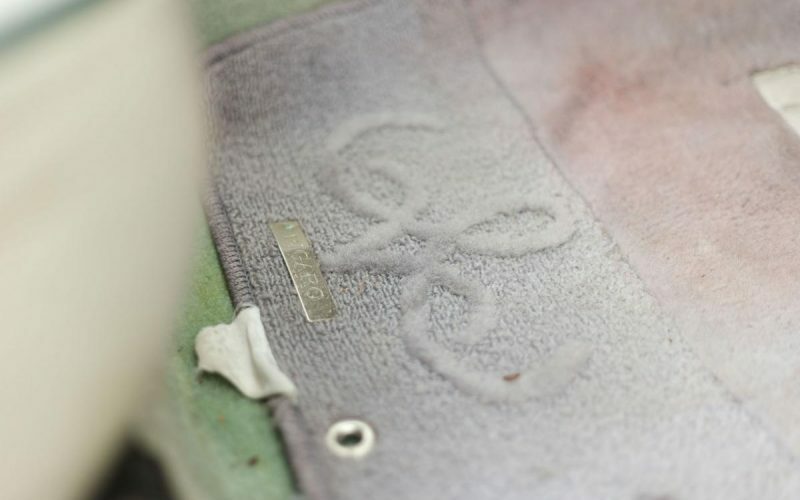 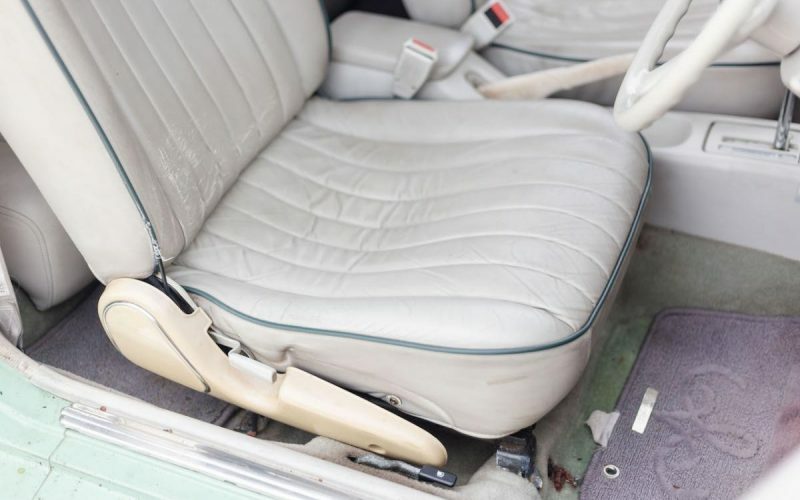 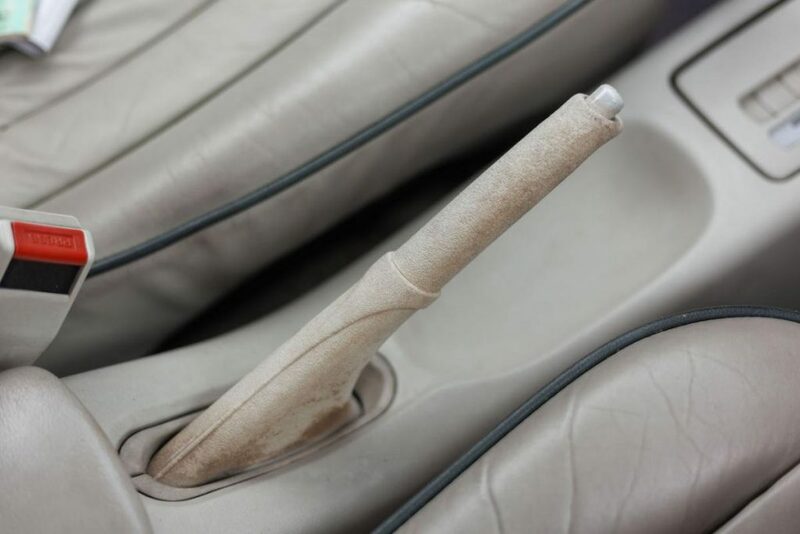 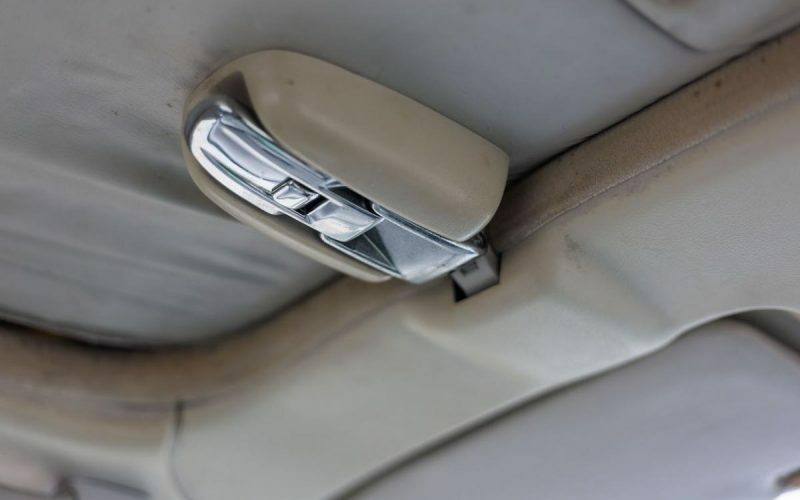 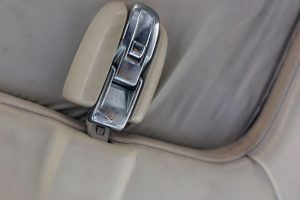 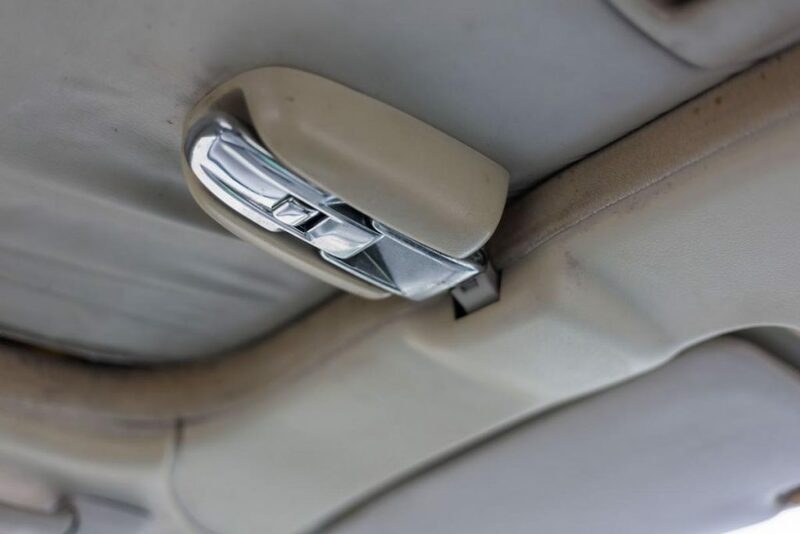 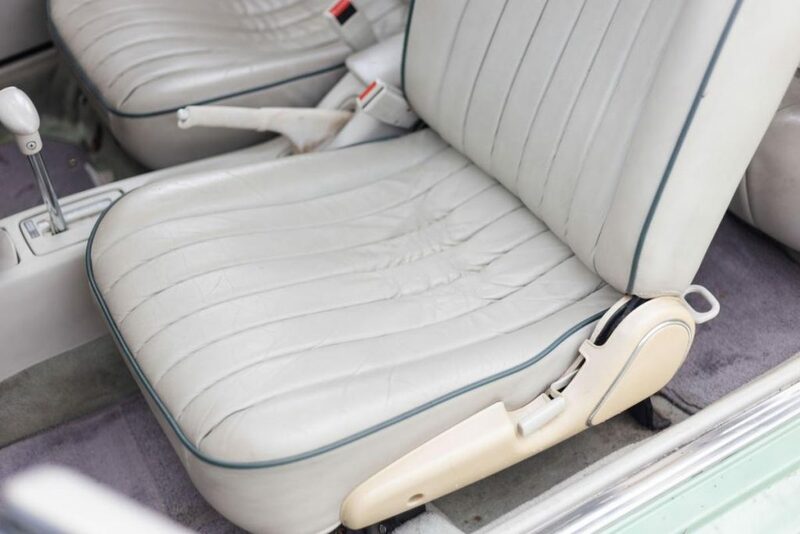 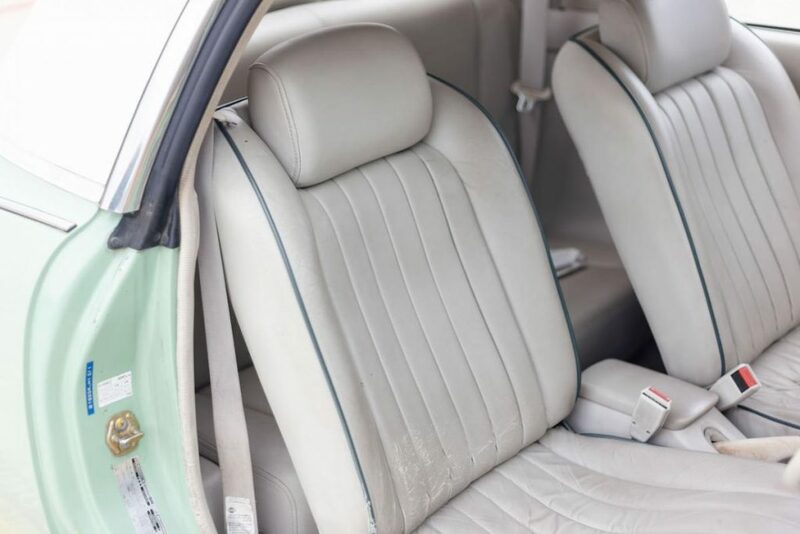 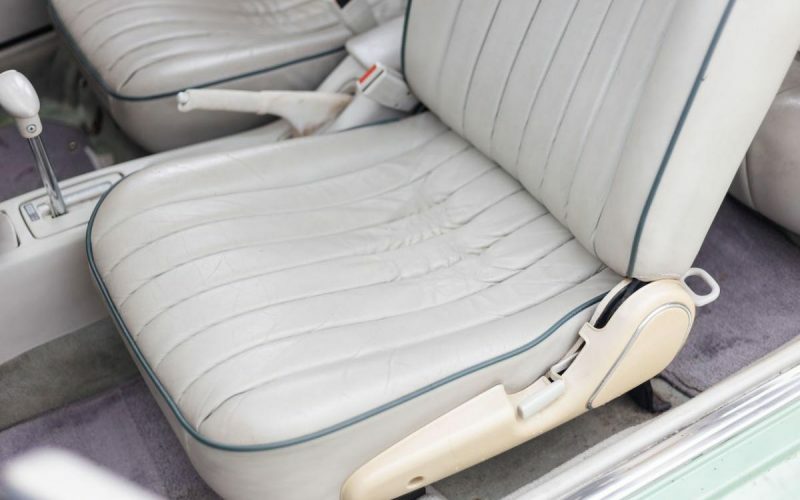 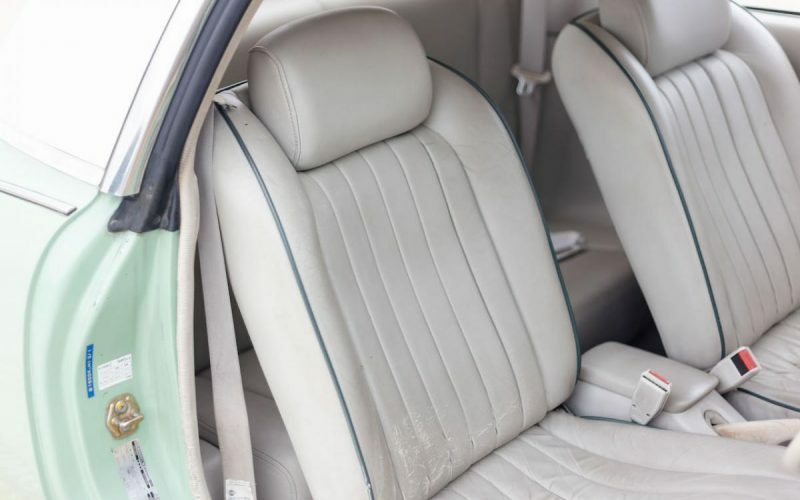 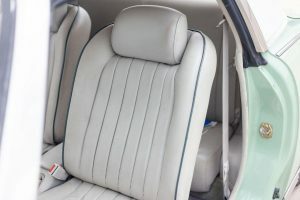 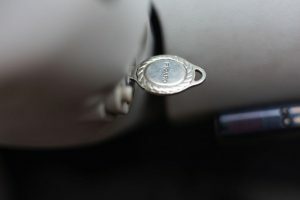 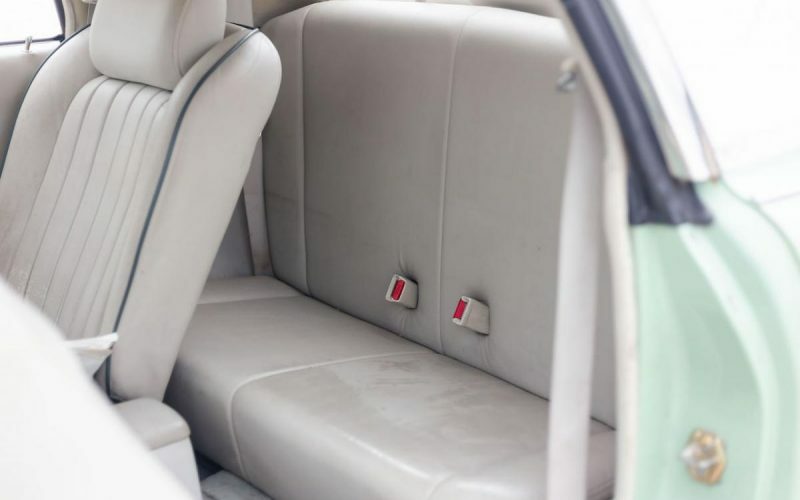 Interior is also in good condition, with no tears or marks on the ivory seats, just some smudges here and there but a detail can fix that. 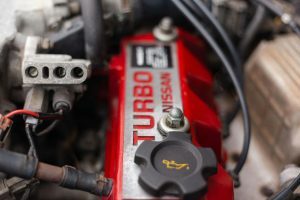 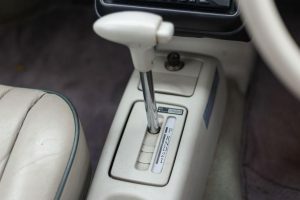 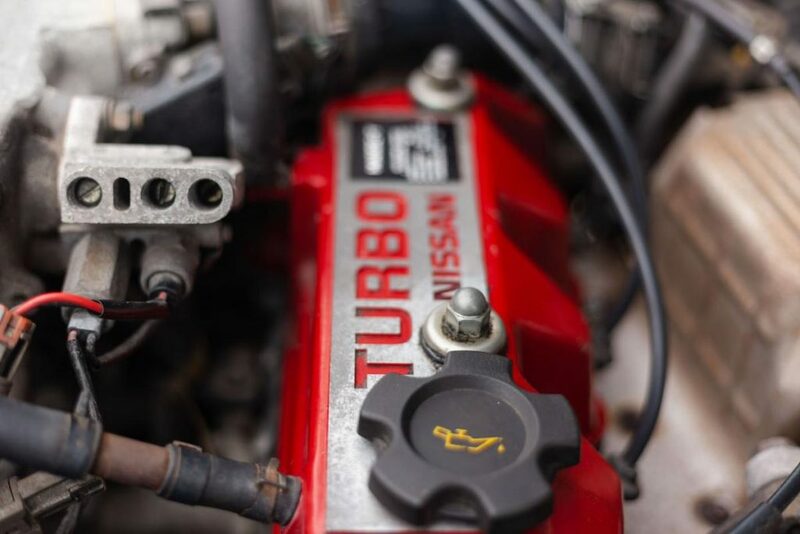 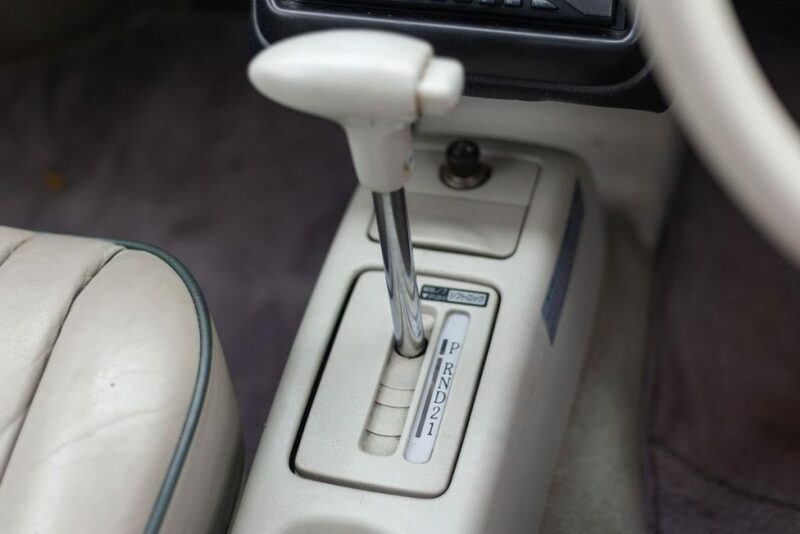 It has been equipped with a 1.o litre I4 turbo engine making 76hp/78lb and a 3-speed automatic transmission. 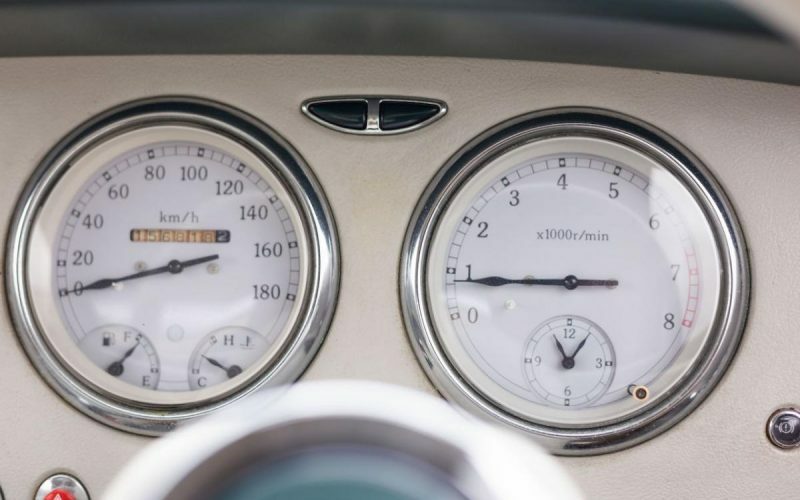 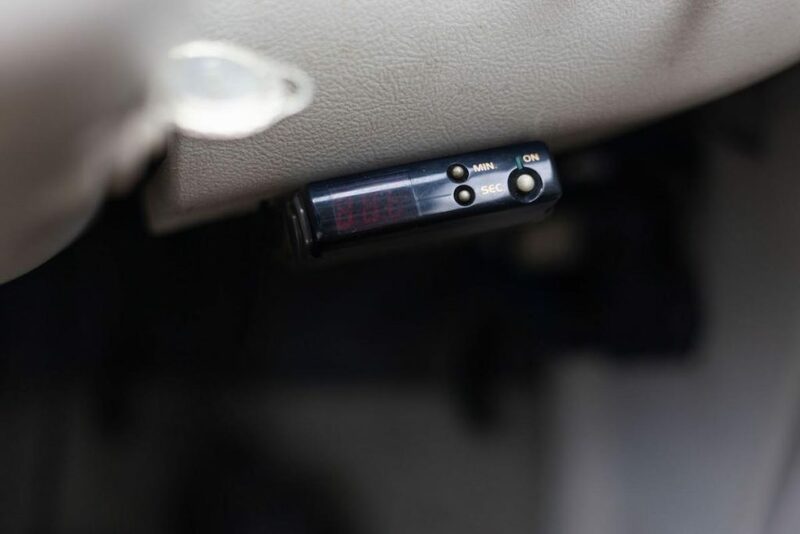 Don’t let those numbers fool you, it has plenty of acceleration and speed for its small size form factor. If you’re looking for a fun “one of a kind” car that’s a convertible then look no further, give us a call today!